Discover campsites of West France but also over 450 campsites throughout France, offering a variety of rental mobile homes, chalets and accommodation of more atypical as bungalows or caravans, but also leisure facilities such as aquatic areas with sometimes an indoor or well even with heated pool for your comfort, for an unforgettable vacation. 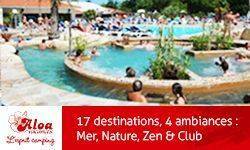 Campsites in West de France welcome you to your camping holiday 2, 3, 4 and 5 star or LRP. 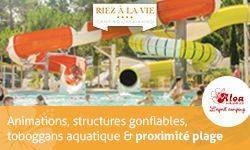 Campsites with recreational facilities (swimming pool, water park, water park, water slides, wading pool, spa, playground, tennis court, multi-sports), entertainment and services (restaurant, bar, food, WiFi access, disabled access, camper services) to make the best of holidays throughout West de France. Traditional camping in West de France on pitches or rental of mobile home camping, campsites below offer the best camping in West de France. Enjoy the outdoor accommodation and campsites in West de France! Rental of mobile homes, chalets, bungalows, cottages, Bengali, cottages, trailers, caravans, tipis and camping sites equipped for your holidays in West de France, our French campgrounds welcome you everywhere in West de France, a favorite camping in Europe. 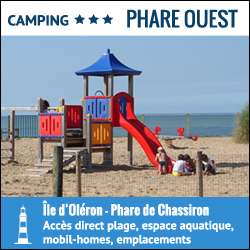 Have a great holiday camping with our campsites in West de France! 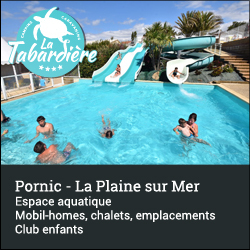 The La Torche Campsite *** EU Ecolabel next to Penmarch and Plomeur offers you 10 acres of wooded grounds with caravans, mobile homes, chalets and gypsies for hiring. Heated swimming pool open 15th April, free wifi at the bar. Direct access footpath from the campsite to the beaches(1500m). There are miles of signposted footpaths that are part of the national system for walkers (GR34). 400m from the campsite there is a horse-riding school from where you can book a family horse-ride. The natural beauty of the protected legendary site of La Torche is a paradise for all boardsports: surf, windsurf, kitesurf, stand up paddle....It is the ideal place to visit the Penmarch peninsula and the Eckmühl lighthouse, the ports of Guilvinec and Douarnenez, the magnificent Pointe du RAZ, the unspoiled village of Locronan and Pont-Aven, the painter's town, Bénodet. 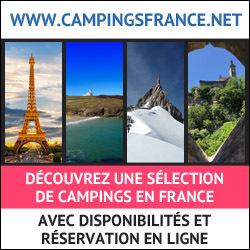 Découvrez votre camping Concarneau 4 étoiles avec accès direct à la plage dans le Finistère Sud. 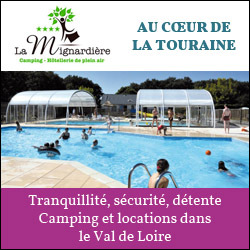 Le camping Bretagne Flower vous propose la location de mobil-home et emplacement. 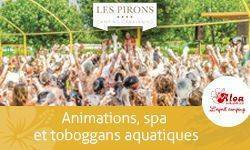 L'équipe du camping Bretagne Sud vous attend avec espace aquatique Blue Caraïbes chauffé et de nombreuses activités familiales. Camping 3 stars of Loire-Atlantique in Pornichet in South Brittany. 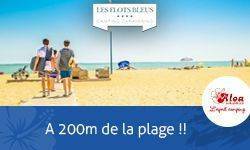 Le Bugeau campsite located in Pornichet, welcomes you in a relaxing and flowery setting 500 m from the beach and shops. You can dive in our indoor or outdoor swimming pool and heated to 26°, a children's playground is at their disposal. We offer the rental of mobile homes or traditional camping pitches. A motorhome service area is also available, etc. 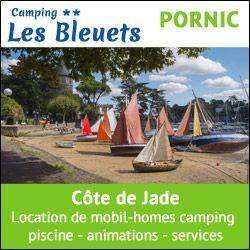 Our campsite in Brittany in Southern Finistère, Camping des chaumières is a family campsite located at Névez between Concarneau and Pont Aven at less that 1 mile from the sea, with delineated and spacious pitches, as well as a choice of accomodations. 2 functional shower blocks, play grounds for the children bread service every morning, as well as Pizza and pancakes in the evening in full season is at your disposal. You can rent a mobil-home for your holidays or a traditional pitch for your stay with a tent, caravane or motor-home. Welcome in our campsite of Finistère Sud in Brittany, at the CAMPING DE L'OCEAN classified 3 stars in Névez between Pont-Aven and Concarneau. We are a quiet family campsite by the sea (300m) with direct access to the sandy beach. We offer mobile home rentals, campsites accessible to all types of facilities such as caravans, tents, motorhomes. 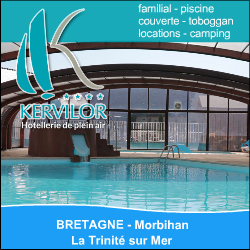 Camping du Finistère Sud with heated indoor swimming pool and heated paddling pool with water play, to share good times with the family. And to make the most of your holidays in our beautiful region of Brittany, rich in cultural and maritime heritage, discover our towns and villages such as Pont-Aven (the land of Gauguin), Concarneau and its enclosed town, Quimper with its Cornouaille festival and its earthenware and the many mythical lighthouses such as the Eckmühl lighthouse in Penmarc'h. Don't forget to book your stay or holiday in the south of France, at camping de l'océan, by phone: 02 98 06 87 13 or from the website www.camping-ocean.fr. 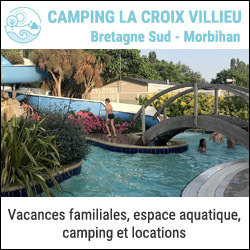 Situé en bord de mer, le Camping de Mindin à Saint Brévin les Pins avec piscine vous accueille pour des vacances inoubliables en couple, en famille ou entre amis ! Rendez-vous au camping La Courance à Saint Brévin les Pins tout au long de l'année. Profitez de sa situation idéale entre les bords de mer et le centre ville. Welcome to Brittany, in our campsite Le Gwel Kaer *** of the seaside in Finistère. 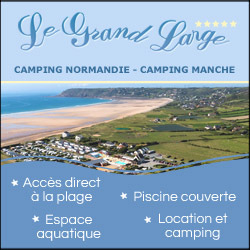 Our campsite is located on the Presqu'ile de Crozon, in the Regional Natural Park of Armorique. With its direct access to the sea, the campsite has a remarkable view on the harbor of Brest. 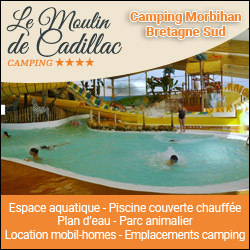 For your week-ends or your camping holiday in Brittany, discover this charming 3-star campsite, which offers traditional pitches or mobile homes for 2 to 6 people. Book your stay online or by phone (33) 298 27 6 106). The campsite also offers various activities on site or nearby: Scuba diving (5 km), Horse riding (5 km) or a hiking, indoor swimming pool to 5 km. Camping du Finistère Sud in Brittany by the sea near Concarneau. 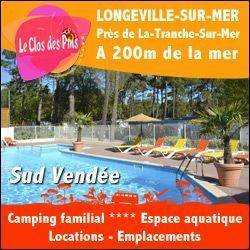 It is with pleasure that we welcome you to the CAMPING DE LA PLAGE LOC'H VEN. We are located in Trégunc for a pleasant holiday or a stay or weekend. Our 2-star campsite in South Finistère, facing the Glénan Islands, is located 100 m from the beaches with direct access. We offer you the rental of mobile homes or traditional camping pitches. 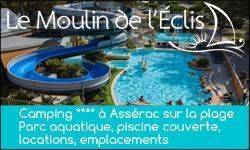 The campsite is close to the pretty towns of Pont-Aven, Fouesnant, Bénodet and Quimper. Book your stay or holiday online on www.lochven.com or by phone on 02 98 50 26 20. The Camping is open from April to September. in North Finistery, a 3 star campsite , at Cléder. The estate is located in a superb maritime setting on the edge of a white sand beach (one of the most beautiful in Finistère). 30km from Morlaix, 15km from Roscoff. Rental of mobile homes, bungalows,coco sweet, bare pitches. Numerous visits will liven up your holidays. A relaxation space (Tennis, children's games and miniature golf) and an indoor heated pool (April/september) complete this outdoor facility. Open in season: bicycle rentals, minimarket, restaurant and laundromat. Nearby: sailing school. 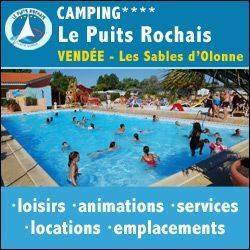 Welcome to the official website of the 7 campsites of Pornic, in Loire Atlantique. Our campsites offer you a wide choice of accommodation : traditional pitches or rentals of mobile homes, chalets... with water parks and swimming pools, or access to the sea. For a short stay, a weekend or your holiday on the Atlantic coast camping in Pornic. With its 14 km of beaches and coves bordered by the path of customs officers... Go for a stroll along the seaside, and enjoy the beaches and remarkable sites (faïencerie, fisheries...). Welcome to the campsite Les Mouettes 2 stars in Les Cotes d' Armor, Plérin-sur-mer in Brittany. We offer rentals in bungalows, mobile homes or camping sites equipped for your holidays. Walking along the GR 34 in the discovery of the immense BAIE DE SAINT-BRIEUC, the tranquillity of this small family campsite allows you to access a secure footpath to the famous beach of Les ROSAIRES located less than 800 meters away. 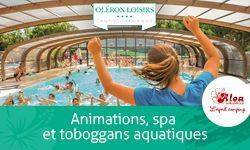 You will enjoy swimming, fishing on foot or at sea or the various water sports offered by the centres of Plérin and Saint-Brieuc. You can also learn or improve your skills in paragliding, take a horseback ride along the beach thanks to the clubs located less than 2 km away. Welcome to Brittany, at CAMPING DU GOUFFRE, a 2 star campsite from Côtes d'Armor. Campsite ideally located at 700m from the seaside, is above all family and relaxing for the occupants, no entertainment to enjoy the quiet. For a holiday or stay, come and stay in mobile homes or on a traditional camping site with your tent, caravan or camper. And so enjoy the sea activities for a pleasant time on our beautiful coastline.